UMSU council unanimously passed a motion encouraging the union’s executive to lobby the City of Winnipeg to introduce an optional universal transit pass (U-Pass) for the summer term at its regular meeting Jan. 4. UMSU president Tanjit Nagra said many students have shown interest in this new initiative in the semesters following the introduction of the regular U-Pass during the 2016 fall term. The summer pass would cover the period spanning May to August. Currently, the U-Pass, offered during the fall and winter terms, represents a $132.50 per term charge automatically assessed as a student fee. Only students who live outside the city or those registered with Handi-Transit can opt-out. The last months of 2017 proved turbulent for Winnipeg Transit and the students who depend on it. In November, the City of Winnipeg’s preliminary budget proposed reductions to bus service in the form of cuts to 23 routes, as well as a 25-cent fare increase – the largest fee hike since 2008. 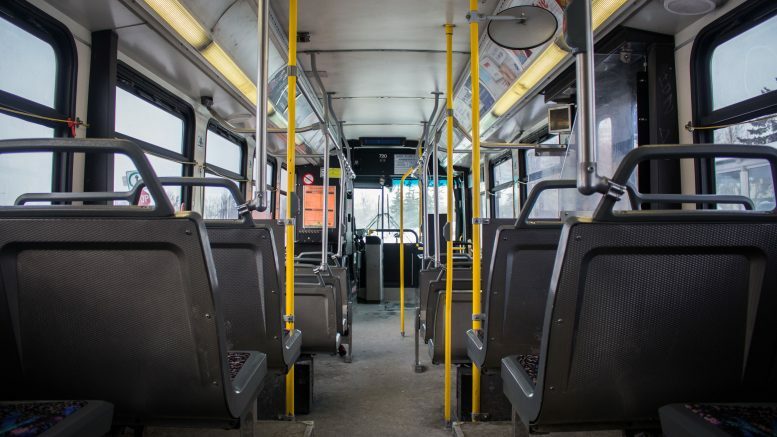 The proposed fare increase follows the provincial government’s moves to end a 50/50 transit funding agreement with municipalities and freeze provincial transit funding to the city at 2016 levels. This has resulted in a $10 million shortfall in Winnipeg Transit’s operating budget. 50/50 transit legislation guaranteed provincial funding for municipal transit agencies in Manitoba, requiring the province to match municipal contributions to transit agencies. The fare increase is expected to generate approximately $5 million for the city next year – half of the $10 million deficit. In December, mayor Brian Bowman and the city council’s executive policy committee – in response to concerns raised by transit users and to acquire funds to offset the loss of provincial funding – approved a budgetary amendment to increase on-street parking fees by an extra 50 cents an hour on top of the planned $1-per hour increase. The 25-cent fare hike remained and went into effect Jan. 1. Nagra said that these developments have motivated UMSU’s continued meetings with city council representatives – including the chairperson for infrastructure renewal and public works committee, Marty Morantz – to address concerns regarding opt out eligibility, the summer U-Pass, and a $5 fee for the U-Pass card that will be implemented in the fall 2018 term. Nagra said that with the regular fall and winter term U-Pass – which came into effect almost two years ago after a student referendum in October 2014 – already in place, students can rest assured that a potential summer U-Pass will have a “much shorter process” of implementation if approved. She also noted that any potential summer U-Pass would be introduced as an optional, additional fee. “We would hope it’s more of an optional fee students could pay to get the pass,” she said. “And we would hope it’s available for not just those enroled in summer but also those that are returning in the fall. The University of Manitoba Muslim Student’s Association president Yazan Hammad said the association, which includes a large cohort of international students each year, is happy to see that UMSU will advocate for a summer U-Pass. “Allowing students to have a U-Pass in the summer will help them also explore the city and learn and acquire whatever they need when they arrive during that period,” he said.